have you ever had one of those days when you're just a half-step off all day long? something. is going. to happen. i've got a funny feeling. i signed on blogger tonight with the intention of deleting everything. the idea crossed my mind a couple of days ago... and i guess tonight just felt like the right time. you know, since it's the first day of a new year and all. i started to feel over the last few months like this wasn't really my place anymore. life got too big, and when i contemplated writing it down here, it was overwhelming, and even scary. and maybe even like the person i am now is different from the one who wrote all of those posts sitting over there in the archive. but then i sat down and started reading them. my heart is in each and every one. from the post about grandmama passing away, to the one about grandpa, all the way down to the ones about mike: proposing, leaving for tour, coming home from tour, and everything in between... to my family visits, and all my rants about life in general. i want to keep writing my life here.. even when the days are dark and i feel like there's not much hope. it's all worth recording... remembering. and then someday, if we're lucky, the sun will come out and life will again be grand, and we'll get another chance to get it right. happy new year. here's to getting it right this time. But I never did see it.. and I never have. He looked so sad sitting there. His arms at his sides with a look of complete bewilderment on his face. And I did. And I do. And I will. we took sailor with us for our 20-week ultrasound yesterday. we wanted to give her a chance to see her baby brother on the monitor and see what she thought of the whole thing. 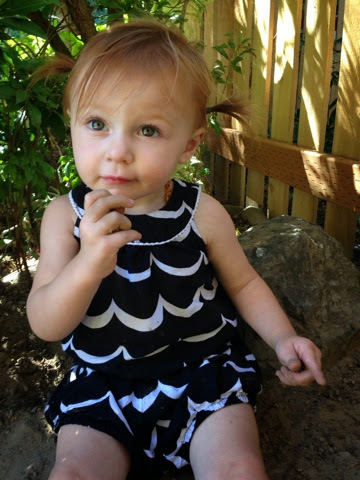 for the most part, she was awesome...quiet and attentive, with bursts of the wiggles now and then. mike did a great job of keeping her occupied during the boring parts. as she looked up at the monitor at one point, she got a very serious look on her face and said, "does he have legs?!?!" and we told her that, yes, he does have legs and we pointed them out on the screen. when she was satisfied with seeing his legs, she asked, "does he have SHOES?!" we all laughed and said that, no, he doesn't have shoes and that we'll have to get him some when he comes out. she wasn't worried about that at all, though...she said she has a jacket and some shoes at home that he can use. such a nice girl. already taking care of her baby brother. ringing in a new year always makes me feel compelled to say something profound about the outgoing year and something hopeful and wise about the incoming one. i don't have anything profound to say about 2015...i honestly just feel proud for having survived it, for having shared my life with a tiny human whom i taught a few things and managed to keep alive for almost three solid years now. i'm still married to my husband of 14 years and we still like each other (almost all the time, even!) and i think that's an accomplishment, too. not that i ever had much of a social life before sailor came along, but it is completely non-existent now. by the time i get the tot to bed, all i want to do is put on sweats and think about absolutely nothing and probably watch netflix and maybe stay up until 10 if i'm feeling crazy. i also used to write and think actual thoughts. my daughter is my full-time job now. i no longer dress up in librarian-chic clothes, put on my professer-ly glasses, and head onto campus to teach english and communication classes at the local junior college. i miss it deeply. i miss using a part of my brain that's getting dusty up on a shelf while i play play-doh and hold up my daughter's hair because she's afraid she'll pee on it when she uses the potty. i know that i'll teach again and that this time with a tiny babe at home is short-lived. i know all of that, but at the same time, i feel like i could continue to exercise that part of my brain by writing and keeping the fire burning bright somewhere in the corners of that brain that i'll hopefully one day use again. i know i'm still a newbie mom, but i feel like i'll get to a place where i know what the hell i'm doing and can balance all parts of life again. it's a matter of time before i'm wifing, momming, teaching, writing, gardening, cooking, yogaing, and mastering all of them.... right? right. so i guess my goal, my resolution, for 2016 is just that...balance. i want to give equal parts of focus and energy to all of the things in life that i enjoy, and to working, and most of all to myself and my family. i only have this one life and there are so many ways i want to fill it...one of those ways is right here in this little blog. so this is where i'm starting. check back in another year and a half and we'll see if i've managed to make any progress. happy new year, other humans. make the very most of it. and whatever a sun will always sing is you"
All that being said, I've had some serious good book luck lately. Granted, I have lots of bookworm friends who recommend amazing books to me so I guess it really isn't luck, but I seem to go through periods where I just can't get into anything. Since this isn't one of those times, I thought I'd pass on some titles in case you're going through a book drought of your own. Most recently, I read The Interestings by Meg Wolitzer. It's the story of a group of kids who met at camp one summer and follows them through their lives. It made me nostalgic for being a teenager, and summer, and for a group of friends I never even had. 5 stars. Before that, I loved This Is Where I Leave You by Jonathan Tropper. Dark humor at its finest- I loved every second of this book. I've heard it will be released on the big screen sometime this year and I can't wait to see it. 5 stars. Last but not least, The Goldfinch by Donna Tarrt, was so beautifully written I read it slowly and hoped it wouldn't end. I reviewed it in a previous post, and I know a lot of people felt differently about this book, but I truly loved it. 5 stars. Anyway, just a quick book post. Sailor's ready for my undivided attention so adiós! I really, really enjoyed this book. I think The Little Friend was such a huge disappointment to me after The Secret History that this came as a huge relief. The story may have been slow at times, but there was something about it that kept me intrigued. Also, Tartt's writing is captivating. She really knows how to craft sentences and string them together in just the best kind of way. I highlighted so many entries and went back and read them all when I had finished the book. I don't want to build it up too much- it was no Secret History. I think you have to be in the right frame of mind to stick with the story, but it was what I needed to read right now, at this moment in time, and I'm so glad that I did. welp.. i guess this is growing up. 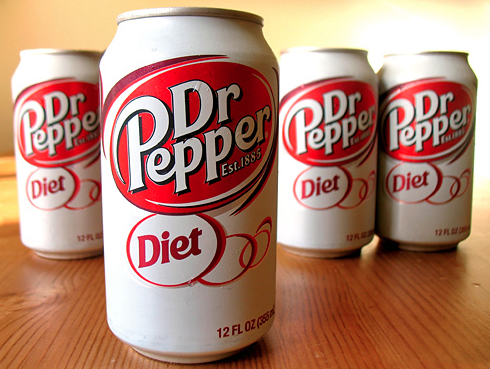 for (at least) the last ten years, the first thing i do in the morning is crack open a diet dr. pepper. i know they're bad for me, i know people say drinking diet soda makes you fat, i know all of the reasons why i shouldn't have been drinking them all these years, but those reasons never mattered to me. it was just my thing. even while i was pregnant i drank them. i never drank a whole one, of course. just a few sips to get me through the morning. don't judge me. well, last week, i ran out of DP. i was bummed but decided to just make coffee instead. i'm a passive iced coffee drinker and usually have a cup in the early afternoon for that sailor-won't-take-a-nap-so-i-need-caffeine-please-help boost. making the switch wasn't a big deal...and it was kind of a big deal that it wasn't a big deal. fast forward a few days to when i finally got around to going to the grocery store. i got to the coke aisle (it's all coke in texas.. old habits die hard) and lifted my big 24 pack of DP into the cart, but as i started to move onto the next thing on my grocery list i realized that the DP didn't even sound good anymore. i backward-rolled my way back to the DP section and put the pack back on the shelf. where do i get my bifocals.